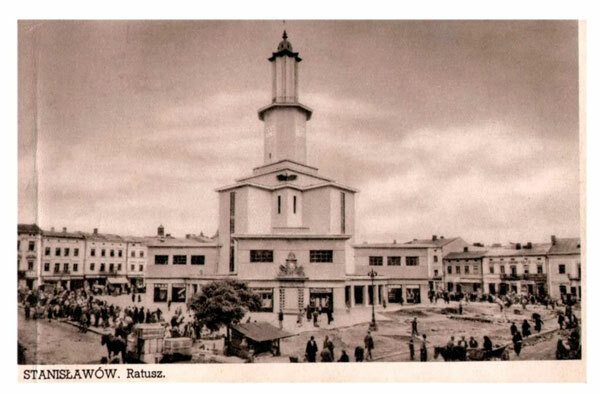 Rynok Square is the oldest one in Ivano-Frankivsk and it is traced back to 1662. Stanislaviv appeared as a fortress in the shape of a hexagon. Market square was at the center of this hexagon. It was not only a historical, but also a geographical center of the former fortress. There was a Town Hall (Magistrat) building in the center of Market square. 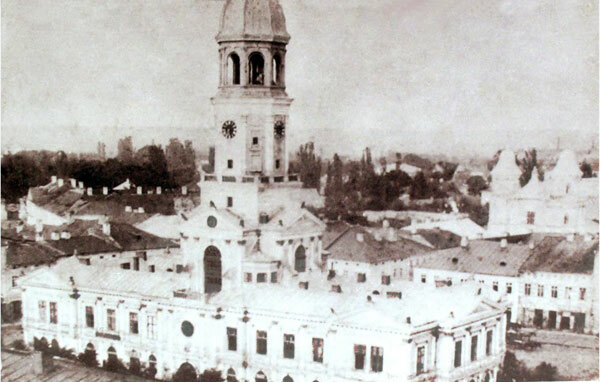 The construction of Ivano-Frankivsk (Stanislaviv) started at the same time with the development of the ideas of “the ideal city” produced by the theorists Vazari and Skamozzi. Market square had a shape of a rectangle and the main streets diverged from it. Now the square kept the form of a rectangle with 138m x 98m sides. Its area is 13800 m2. 7 streets are diverged to different directions. Rectangle-shaped blocks were divided into residential buildings 9-18m wide and 20-30m deep. There were mostly 2-3 storey houses with 4 windows on facades. The first floor was used as a workshop or a store and the owner lived on the second floor. The third floor was for rent. Building #1 at the square was always the Town Hall. The numeration of the buildings started from Halytska Street (North-Western angle). There were 32 buildings in the square: the Town Hall, 7 buildings to the north, south and east from the square and 9 buildings in the west part of the city. 14 buildings remained their historical view till now. Building #8 in the north part of the square is worth seeing. It was constructed in the 18th century. It was a property of the Pototsky’s family. It is called ‘kamyanytsa dvorska’ (court stone house). The general and the commander of the fortress detachment lived here. The oldest building in the east part of the Market square is a two-storey house on 1 Melnychuka Street. It was built in 1817. The building belonged to the Ukrainian butcher Boyko that was the only one Ukrainian shop owners among dozens of Jewish stores around. Seven buildings (2-3 storeys) in the south part of the square, where Jews lived, were pulled down in 1942 by the order of Nazi occupants. The most interesting building is building #15 (built in 1831). It is designed in the Classicism style with the elements of the Ionic order system. There was a shop “Narodna Torhivlya” (“People’s Trade”) on the first floor in the pre-Soviet times. The numeration of the buildings in the square ends with the building on 29 Halytska Street (1835). This is the first and for long years the only 4-storey building in the city. Is the Rynok Square big enough? A question about the size of the square was raised in the local newspaper on January 1905 and the calculations were made. Its area is 9667 m2, it is 8634 m2 without the Town Hall. Considering that 1 m2 can hold 4 people, so the square can hold 34536 people. It is more than the population of Stanislaviv at that time (33077 people). Now the Rynok Square cannot hold 234000 residents of today’s Ivano- Frankivsk. – Stanislaviv City Hall is the unique secular building in Ukraine with a gilded dome.